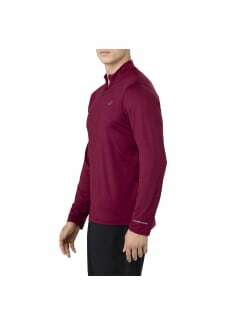 The ASICS men’s long-sleeve zip-up running jersey is a modern staple for every sports kit. 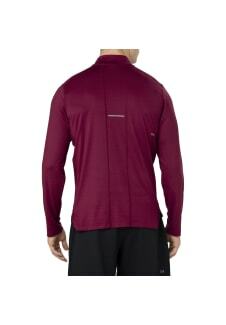 Crafted from a soft sanded jersey knit and featuring an ergonomic fit, this men’s top was built for comfort. Made with ASICS quick-drying fabric to keep the wearer comfortable for longer, and with a slightly elongated rear hem for coverage and protection. This garment even features a half zip at the front for added breathability and ventilation, making this ASICS jersey for men a must have for every gym kit.